Marketing 101: Warning: Are You Accidentally Shattering Your Brand Continuity? At its core, brand continuity is the idea that all communication channels between your brand and your customers (live chat, email, phone calls, etc.) should all look and feel like they're coming from the same place. It's the idea that you should strive to give your customers an experience that is as consistent as possible, regardless of how they choose to make contact with you. Successful brand continuity requires you to strike a delicate balance, and if you're not careful, there are a few ways that you can accidentally shatter all that you've worked so hard to build even before you realize you have a problem. 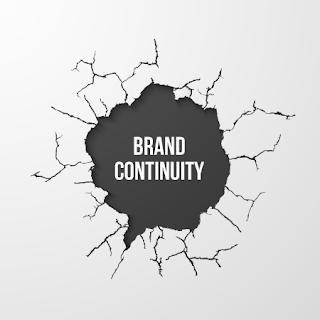 One of the more subtle ways to build and maintain brand continuity is also one of the most important, mainly because it can be the easiest to get wrong. You have to make sure that all of your branding from the version of your company logo to things as seemingly insignificant as the font you use are as consistent as possible, regardless of which element of your online and offline presence you're using. If a version of your company logo is present on your website's "Help Desk" page, it should be the same version of the logo sent out in your latest email or print marketing materials. Don't use professional-looking fonts on your website if you're going to be using Comic Sans MS on your print materials. You may initially think that this is incredibly easy to miss and in many respects, you're right. Customers aren't necessarily paying attention to every last visual element on a page versus a flyer versus a billboard. But, think about it this way: the ones that do notice may be put-off or at least find it odd, which is a feeling you do not want to invoke. Those that don't notice will still benefit from your strict brand continuity, even if subconsciously. Another way that you can accidentally shatter brand continuity has to do with getting everyone on the same page regarding how your business works. If your website is very clear about one particular policy but your customer service team isn't, you're immediately confusing customers every time they pick up the phone. This confusion is especially evident regarding promotions. If an email goes out offering a new sale, you'd better make sure that anyone who answers the phones for your business knows about it and knows what it entails. Otherwise, your customers may get a disappointing experience when it feels like the left hand is unaware of what the right hand is doing, so to speak. It gives the impression that the different parts of your business are operating independently of one another, which is something you don't want to communicate to prospective buyers. These are just a couple of ways that you can accidentally harm your brand continuity. Remember, you can never be 100% sure how someone is going to make contact with your business, especially for the first time. So, make sure however they encounter you, it's equally easy, enjoyable, and helpful.